The Harold Clurman Laboratory Theater Company grew out of a feeling that the time had come for the Stella Adler Studio of Acting to produce, or reproduce, its spirit, voice and theatrical sensibilities on a professional level. 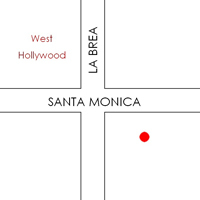 Questions regarding the Harold Clurman Laboratory Theatre Company in Los Angeles can be directed to Johnny Yoder, Producer for West Coast Productions at 323-601-5310. In Los Angeles: World Premiere of Democracy(sic) by Don K. Williams, directed by Johnny Patrick Yoder. In New York: The Hot L Baltimore by Lanford Wilson, directed by Tom Oppenheim. In New York: Loving & Loving by Beto O’Byrne, directed by Tamilla Woodard. In Los Angeles: Rocket to the Moon by Clifford Odets, directed by Don K. Williams. Lucky Penny, written and performed by David Deblinger, Seven Devils and a French Nun, written and performed by Carine Montbertrand, Side Effects, written and performed by Michael Milligan, The Peculiar Patriot: A Remix Mashup, written and performed by Liza Peterson. In Los Angeles: Road to Nirvana by Arthur Kopit, directed by Don K. Williams. Fruiting Bodies by Samantha Chanse. Joker by Yilong Liu, directed by Aaron McKinney. Nadleehi and the Coyote by Patricia Reynoso, directed by J. Steven White. The Book of Leonidas by Augusto Amador, directed by Daniel Louis Morales. In Los Angeles: Talking to Terrorists by Robin Soans, directed by Don K. Williams. In New York: Butcher by Sam Byron, directed by Stephanie Cunningham. In New York: Uncle Vanya by Anton Chekhov, directed by Tom Oppenheim. In Los Angeles: Macbeth by William Shakespeare, Directed by Michael Keith Allen. In New York: Three Sisters by Anton Chekhov, Directed by Tom Oppenheim. 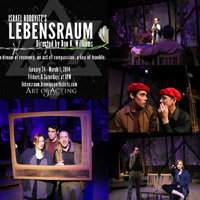 In Los Angeles: Lebensraum by Israel Horovitz, Directed by Don K. Williams. OVATION RECOMMENDED. LA WEEKLY GO! ***Nominated for a 2014 Ovation Award for Best Ensemble. by Halley Feiffer. 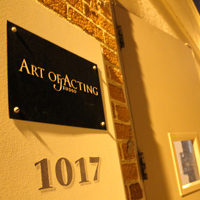 Developed in Los Angeles at the Art of Acting Studio as part of the Harold Clurman Playwrights Division Residency. In Los Angeles: West Coast Premiere of Long Way Go Down by Zayd Dohrn, Directed by Don K. Williams. **LA Weekly “Go!” ***Nominated for a 2013 Ovation Award for Best Scenic Design, Intimate Theater. In New York: Mercy Killers written and performed by Michael Milligan. In New York: The Empty Ocean by Anton Dudley, directed by Stephen Brackett. In Los Angeles: A Midsummer Night’s Dream by William Shakespeare, directed by Don K. Williams. In New York: Clifford Odet’s Waiting for Lefty, directed by Don K. Williams. -at the Alvin Ailey Theater, the UN, and Tokyo and Soma City, Japan. In Los Angeles: Los Angeles Premiere of Marisol by Jose Rivera, directed by Don K. Williams. ***Backstage Critic’s Pick. ***Backstage Critic’s Pick, LA Weekly’s GO! In New York, World Premiere of Sacred Ground by Christina Gorman, directed by Shelley Butler. As You Like It by William Shakespeare, directed by Tom Oppenheim with Steve Cook. Lebensraum by Israel Horovitz, directed by Don K. Williams.